for download. 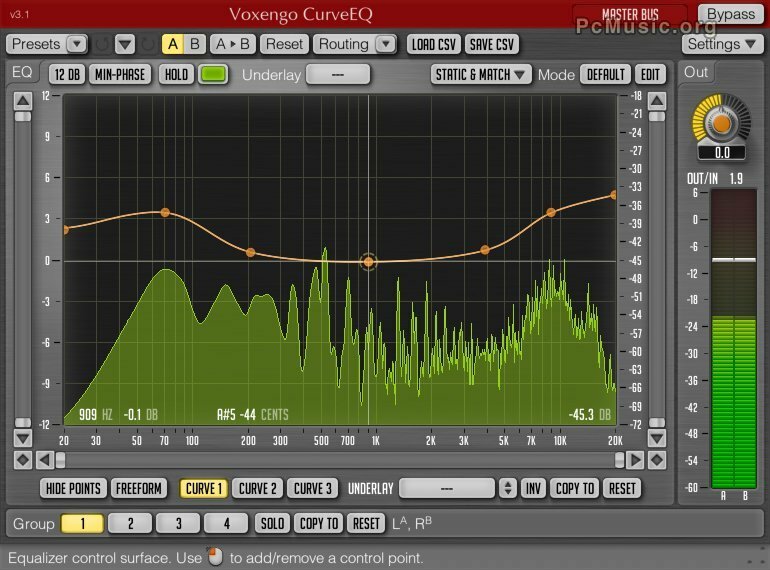 Voxengo CurveEQ, available in AudioUnit and VST plug-in formats (including native 64-bit support), for Mac OS X (v10.5 and later), and Windows computers, is a spline equalizer plugin for professional music and audio production applications. - Spectrum matching is now working correctly in all groups. - The "Load CSV" and "Save CSV" text file functions added.